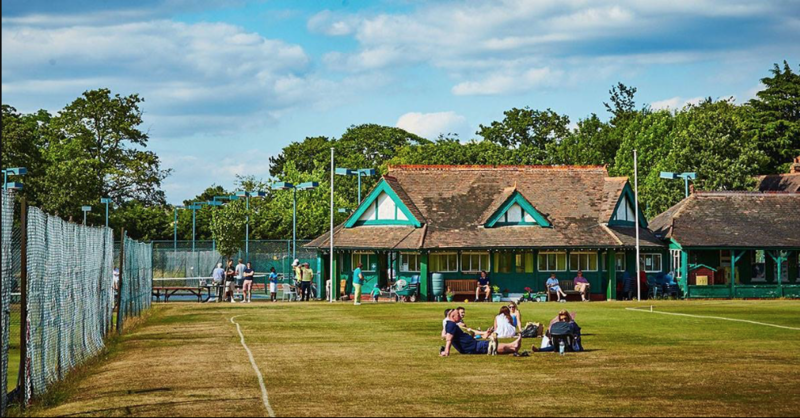 We are very excited to be moving to Beckenham Sports Club on Tuesday 23rd April. You can find more information on the timetable of the Junior Programme HERE and the Adult Programme HERE. You will find more information on Membership Rates HERE. We will be having more events and more fun than ever before so we hope to see you there…. Hopefully the sun will come out just like it did for our Half Term Camps! Myself and assistants will be running the event so will be on hand to give guidance and feedback to the children. Matches will be played on the middle hard courts. All the matches played on the day will be recorded by me and the results entered on the LTA website. Entry fee is £8 per child and payable on the day. Come along to our Round the World Challenge on Friday 15th March at 5.45pm, to raise money for Red Nose Day. Parents, bring your trainers and grab a racket and come and have a go. Even better wear a red nose, shoes or any kind of red attire! Lou, will be in the house with her face paints, Steve will be cooking up some hot dogs and if you bring some cake for a small cake sale in the Club House - we’ll have ourselves a very jolly time. Please bring some small change with you for donations to RED NOSE. This will be a great chance to gain some valuable experience of playing matches and great for the children’s development. So do come along.. This will be a great chance to gain some valuable experience of playing matches and great for the children’s development. Do come along and give it a try. Please note since schools differ over the two weeks around Valentine’s day, we shall be holding camps on Tuesday 19th and Thursday 21st February. Cardio Tennis - Bounce to the Beat! Raise your heart rate, bounce to the music and have a thoroughly good time! Cardio tennis starts on Tuesday 6th November at 9.30am. With a mixture of fitness drills, circuits and a few shots thrown in - all to the beat of some serious uplifting tunes, this class is for anyone who wants a full body workout. No previous experience of tennis is necessary. FREE TASTER ON TUESDAY 6TH NOVEMBER..
£8 /Members £10 /Non Members. Don’t forget to book your place for the Half Term Camp. We shall be running the sessions half an hour earlier so the first session will start at 9.15 (5 - 7yrs) and the second session at 10.30 (8-15 yrs). We shall also be running tournaments on the Wednesday and Thursday. For more details and booking click here. Family Night gets a spooky twist as we end the term on a Halloween Special. Lots of games and spooky prizes to be won, while parents and adults are welcome to dress up and join in our Round the World Challenge at 7pm. Food will be available and faceprinting courtesy of our magical Lou! Start thinking about those scary costumes NOW! Family night takes on a different format as we challenge parents and children alike to a game of Big Ball - followed by Round the World. Perfect for those who have never picked up racket to the most experienced player. Let's see all you guardians on the court - lots of fun and laughter guaranteed! Members and non members - family and friends welcome. Celebrate the Autumn season, with our midweek Improvers Tournament. Following the same round robin doubles format at usual, you will get the chance to play with a variety of players and most importantly have enormous fun. Open to members and non members - so grab your friends…. This is a great opportunity to gain matchplay experience, within a supportive environment. Practice your strokes and learn the rules of the game. In terms of development gain good sportsmanship skills and of course, have lots and lots of fun! Term starts again on Saturday 8th September! The summer camps start at Sundridge on Monday 30th July and run all the way through to Friday 31st August. Drills, matchplay and fun games allow the kids not only to have great summer holiday fun and meet new friends, but also to develop their technique and ultimately improve their tennis. We had some fun with this over the Winter months and now it's BACK! We are adding another Tennis Xpress class to the timetable, starting on Tuesday 12th June from 7.15pm-8.15pm. This class is tailored for beginners and will run for 5 weeks finishing on Tuesday 10th July. In this time you will learn the technical aspects (including grips) for the forehand, backhand, volleys, smash and serve. You will also learn how to score and play a match! Cost = £37.50 for members and £42.50 for non-members. Starting Tuesday 12th June, for 5 weeks. This session is aimed at Improver level or those that have played, but not for some time. It will be coach led and have a coaching theme each week. You will also have the option to play some social doubles for half an hour after your class ends to put into practice what you have learnt! Cost is £7.50 for members and £42.50 for non-members. Contact richardwhichello@wamtennis.co.uk for booking and more information. Do come along to our Sundridge Saturday on the 9th June 10am - 4pm, in celebration of the Great British Tennis Weekend. 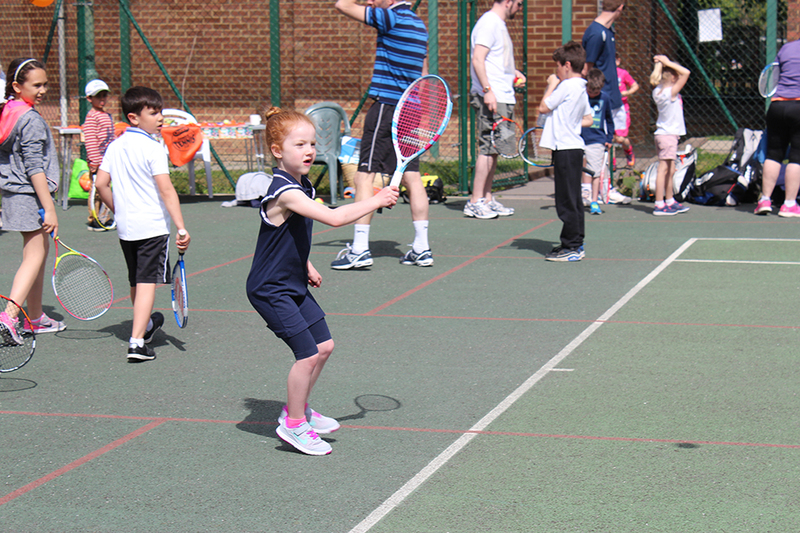 It will be enormous fun with not only free Tennis & Squash coaching for the whole family from our expert coaches, but a barbecue, face painting, table tennis, our own Sundridge Park Parade Traders and much more. You will find the timetable for the day underneath so do book on to any sessions that you would like to try out. Alternatively, just come along, enjoy the ambience, have a few drinks at the bar and watch a spot of Tennis! Book now for Half Term Camp Tuesday 29th May to Friday 1st June, for games, fun and much more...don't forget a packed lunch. Whether you've played a little in the past or want to take up a new sport, then this is the Tennis course for you! In addition to learning all the strokes, forehand, backhand, volley and smash, you will learn about the game. And before you know it you'll be rallying to your hearts content. 6 Week Course/ £26 for members, £32 for non members (no class during half term). Starts on Wednesday 16th May 10.30 - 11.45 or Sunday 20th May £36 members/ £42 non members. Contact Richard at richardwhichello@wamtennis.co.uk for booking. I am running an improvers doubles tournament as part of Sport Relief on Thursday 22nd March from 10am-12.30pm. These tournaments are always immensely popular, not taken too seriously, with the focus on having fun in a nice social environment. Entry fee will be £6 and all proceeds will go to Sports Relief. We are opening the event up to non-members, so please feel free to bring a friend or 2 with you, the more the merrier and we raise more money! Non-members will pay a £5 surcharge which will also go to Sport Relief. We will also have our customary lunch after the tournament. Between my mother and myself we will contact you nearer the time for what food to bring. This is for a great cause and should be loads of fun, not one to be missed! If you would like to take part just email me back and I can reserve you and your friend(s) a place.